The high-speed Sapsan trains are manufactured by Siemens. Photo: Chas Design. Russian Railways has organised 80 Sapsan trains to shuttle football fans around the 2018 World Cup for free. The first train departed Kazansky station, Moscow, for Adler on June 13 ahead of the Portugal vs. Spain match at Fisht Stadium, Sochi, on June 15. The double-decker trains have a capacity of almost 800 seats and come with air conditioning, charging points and wi-fi. Free long-distance trains will run on 31 routes and make 734 trips, according to Russian Railways. In total, during the World Cup, more than 2.6 million passengers will travel the long-distance trains running between host cities – around 15,000 trips. 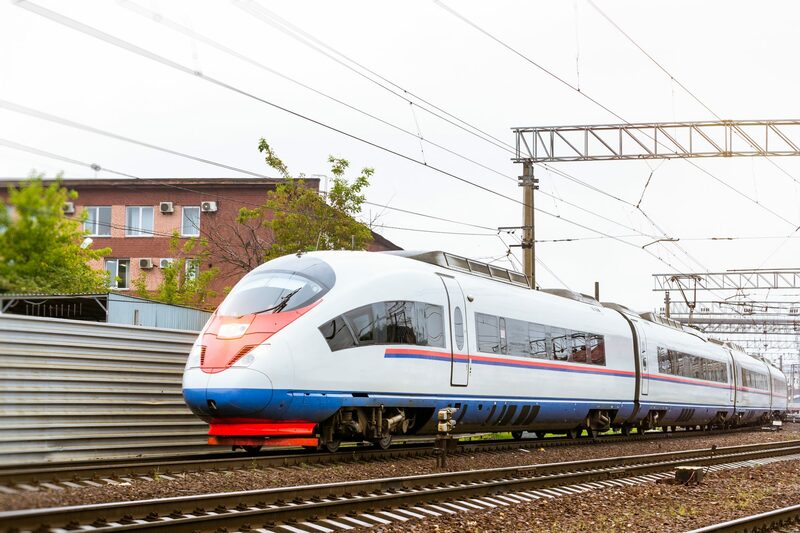 Russian Railways’ passenger transportation director Dmitry Pegov said fans from 154 countries have booked about 330,000 tickets, which is more than 70 per cent of the total capacity of the trains. Most of these fans are from Russia, Argentina, Mexico, Colombia, the United States and China, with the most popular trains being those to Moscow, St. Petersburg, Kazan, Nizhny Novgorod and Adler. Deputy prime minister Olga Golodets said: “A total of 2.8 million fans will visit the games in Russia, which will be watched by more than one billion viewers around the world. “This is a huge impetus for the development of our country’s infrastructure and future projects for the development of domestic and foreign tourism. Russian Railways organised a ceremony to mark the launch of the first train which was attended by Olga Golodets, Dmitry Pegov, and transport directorate of the 2018 FIFA World Cup Kirill Polyakov.